What can I send to Malaysia? What items are restricted? We advise shipments entering Malaysia should have a declared value of less than £80 / $115 USD / 95€ / $150 AUD. Shipments declared over this value are likely to under go further inspection by customs resulting in additional time to clear and potentially incurring additional duty and taxes. Malaysia is a hugely varied country, known as being both a popular extended holiday destination as well as a spot to pass through on your travels. Whether you’re planning to visit while on a backpacking trip, whether you are relocating to the beautiful country or are simply spending your holiday there, there’s always the possibility that you may need more luggage than is provided in your airline’s luggage allowance. You may have a particularly heavy backpack, or perhaps you’re staying for an extended period and need more weight than you can carry. It may even be that you have bought too many souvenirs in Malaysia and need a way of transporting your new wares. If this seems like a problem for you, Send My Bag can pick up and deliver to or collect from the whole of Malaysia. Whether you’re spending a few weeks snorkelling on the beach at Redang and want to use your own gear, or are starting the first leg of an Eastern adventure in the Penang region, we can ship your luggage to you hassle free. Our service is also great for international students studying for their degree in Malaysia or for those spending a year abroad or gap year there. Send My Bag can help students quickly set up home in Malaysia by shipping their possessions, including clothes, books and DVDs. You can avoid a lot of hassle when travelling to Malaysia by sending your possessions with Send My Bag. This is handy for relocating to Malaysia or just for your holiday as it allows you to bring everything you need without having to drag heavy bags through the airport or onto public transport. Your possessions will be looked after for you, allowing you to get on with exploring all that Malaysia has to offer. Send My Bag will pick up your bags at home and deliver them to your accommodation in Malaysia. To find out more about sending luggage to Malaysia, visit our ‘How it works’ page, or our ‘FAQs’. Although Malaysia is a humid country, you can still enjoy cycling there, if you take care of your health by remaining well hydrated. Cycling in Malaysia will allow you to go beyond the usual tourist trails and discover local Malaysian life. Why not ship your bike to Malaysia with Send My Bag and enjoy the Malaysian scenery from the comfort of your own bike? By sending your bike you can avoid oversized baggage fees from your airline and also avoid the hassle of carrying a heavy bike to and from the airport. To find out more about shipping your bike, read our bike shipping page, where you can learn how to best package your bike for safe transport. Malaysia has around 200 golf courses, making it a golfer’s paradise. The top-rated clubs include Kuala Lumpur, Els Club and Kota Permai. Golf fans will want to enjoy these courses using their own clubs, so why not send your golf clubs to Malaysia with Send My Bag? Sending your golf clubs is simple; just make sure you find out how best to prepare your golf clubs for transit by visiting Send My Bag's page on sending golf clubs. If you wish to spend more than a few weeks in Malaysia and are moving there permanently, you will have to consider international removals to Malaysia to shift all of your possessions. Make sure you choose a reputable removal company and ensure that all your items are carefully packaged so that they won’t get damaged in transit. Use appropriate packaging for your items and seal everything up well. 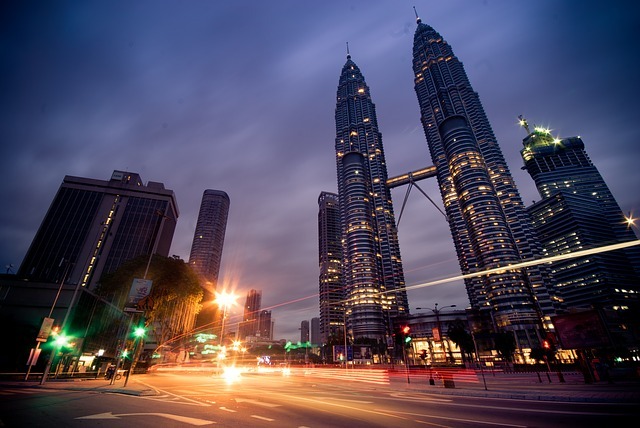 Malaysia is a popular destination for gap years, years abroad and for international students. Malaysia has a number of world-class universities, including Universiti Malaya, Universiti Putra Malaya, and Universiti Teknologi Malaysia. If you are an international student or a gap year student, you can easily send your possessions with Send My Bag to your accommodation, whether that’s a hotel or student accommodation. This allows you to take lots more with you than you could check into an airplane hold – so you can bring everything you might need throughout your course. Discover more about student shipping and how to claim your student discount by reading our student removals page. Send My Bag can send parcels to Malaysia for you, which is useful if you only need to ship a small number of items. Friends and family at home can also use this option to send you things in Malaysia, such as gifts or care packages. Senders should pick a good solid box when sending a parcel to Malaysia and seal it up well so none of the items get damaged in transit. They should also make sure they are aware of rules relating to personal effects and brand new items (see below). Read our information page on how to send a parcel, to find out what you can send with Send My Bag and how to best package your items. If you are moving to Malaysia and need to send big items like a TV or table, you could consider using air freight. It normally takes one to two days to get your items from one airport to another. It can be an expensive service, however. Plus, you have to pay for a customs agent to handle customs clearance for you. Plus, you need to work out how to get your items to and from the airport, which means that costs could quickly mount up. If you send internationally by air freight to Malaysia your items will likely arrive at one of the major international airports, such as Kuala Lumpur, Penang or Kuching. To ship even bulkier items to Malaysia you could consider sea freight or container shipping. This can be cheaper than air freight, but you will still need to hire a customs agent and will need to arrange how to get your items to and from the ports, which means it could cost more than expected. When using container shipping to Malaysia your items will most likely arrive by ship at a major sea port, such as Port Kelang, Penang or Sandakan. You need be familiar with current Malaysian customs rules when shipping goods to Malaysia. You should be fully aware of any duty that you need to pay and what items are allowed to be shipped to Malaysia, which items are restricted, and which are entirely disallowed. Read the section below on ‘What can I send to Malaysia? What items are restricted?’ to find out more. The online process is easy to work with. They spell out everything you can ship, and as long as you stay in the guidelines your luggage will arrive without any hassles. Best way to send extra luggage and I have used them every time I have to fly and can’t get all my stuff in two pieces. Thanks for all the help! Great service, tracking was accurate and also receiving updates via email from the team at Sendmybag. Will definitely use them again and recommend to friends. Malaysian customs require a detailed list of the personal effects being shipped and a copy of the consignee’s passport matching the named receiver on the order. Shipments with a declared value exceeding $145 will incur a 24hr customs clearance delay and will be inspected by Malaysian officials. On some occassions additional fee of 25MYR (c. £5 / $6 USD) may be incurred for customs processing which will need to be paid by the consignee prior to delivery being completed. Due to most countries offering a duty-free allowance for personal effects, most Send My Bag shipments will not be stopped by customs officials. Customs normally view personal effects as items that have been in the sender’s possession for at least six months. If you send brand new or commercial items in your shipment, you may be required to pay taxes and duties. You should bear this in mind if sending brand new items, such as Christmas or birthday presents, to Malaysia. You should research beforehand any customs duties you might have to pay, take any advice given by Malaysian customs, and attach any documentation required of you. To indicate to customs officials that you are only sending personal effects, you need to complete a packing list online, which should be completed as follows: "5 x Cotton T-Shirt, 3 x Linen Trousers, 2 x Pairs Plastic Flip-flops", and so on, rather than as "10 x Used Clothing". When a bag is stopped by customs for any reason (missing documentation, prohibited contents, commercial contents or further information required) Send My Bag™ records how long customs hold it for. Our historical statistics for this route indicate that if the customs authority stops your bag they will on average take 2 days to process it and release it back to us for delivery. If sending personal effects to Malaysia with a value over $145, they will be inspected by customs, incurring a delay of 24 hours. Because customs processes and allowances differ according to the country, we suggest that all travellers take a moment to see how their personal circumstances and what they are sending will be viewed by Malaysian customs officials. Further information can be found on our customs information page. Malaysia is known especially for its rich cultural heritage with its hugely mixed population of Malays, Chinese, Indians and other indigenous groups. Many people travel through the country as part of organised trips or backpacking tours of South East Asia. The major tourist cities are Kuala Lumpur ‒ home to the Petronas Towers ‒ and George Town, the capital of Penang. Tourists are also drawn to Malaysia’s huge expanses of coast, beaches and islands. Snorkelling is a popular activity for tourists, whether they are beginners or advanced. The festivals celebrated annually are amazing to see, as are the tropical rainforests such as Taman Negara, home to a huge range of native plant and animal species. Traditional arts and rural crafts are popular in the stunning and accessible countryside, and tourists often return home with rattan baskets, ceramic jugs and brocade.